In the 21st Century, with the technological advancement, everybody wants to experience the best technology without spending too much of their time and exhausting their busy brain so we organize a workshop on UIUX Design Methodologies. The same goes for surfing the websites or mobile applications as well where the quick and efficient website or the mobile application responds along with the successful outcomes it obtains. In short, it is about the consumers nowadays! But when it comes to the mobile application or website user satisfaction, most technology firms turn towards the applications’ User Interface (UI) and User Experience Design (UX). However, most of the time people get confused between the terms UI and UX. Therefore, Arya College of Engineering and IT Welcomes Abhayjeet Singh, Director iMAGINxP for Workshop on UX Design on 28th April 2018 at New Block Auditorium at Arya 1st Old Campus. He is one of the leading media and User Experience (UX) veterans. The workshop mainly focused on Visual Design, Business Analytics, Sales Engineering, Mobile Computing, Interaction Design, AR/VR, Cloud Computing, IoT, and Finance. The Workshop also contained process and procedure of design thinking in respect to UI/UX design that analyzed the feedback of APP based UI/UX system in both public and corporate domain. The event took 3 hours of hands on and 2 hours of interactive session of UI / UX design experiences, which was acted beneficial to the engineering students. The workshop was attended by more than 500 young minds from Arya College of Engineering and IT. In the highly technical and technological age, it has become essential to learn the design skills that will make your app stand out in a crowd. This design experience has introduced students of Arya College to the art of making beautiful apps. The workshop mainly explored UI and UX concepts that are essential to build good looking and easy to use apps, loved by users. 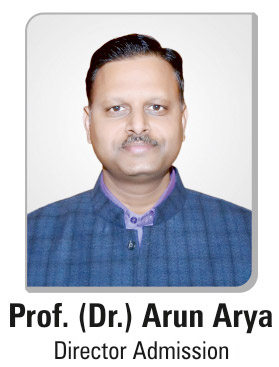 This concept can be developed under Arya Incubation Centre that has been set-up to provide a platform to the students, entrepreneurs and individual to generate and obtain their startups based on software, technology and business-related aspects.